21 individual photographs, each 50 x 70 cm, 2012. 5 of 21 photographic prints,50 x 70 cm, 2012. 10 of 21 photographic prints,50 x 70 cm, 2012. 14 of 21 photographic prints,50 x 70 cm, 2012. 19 of 21 photographic prints,50 x 70 cm, 2012. 20 of 21 photographic prints,50 x 70 cm, 2012. 18 of 21 photographic prints,50 x 70 cm, 2012. 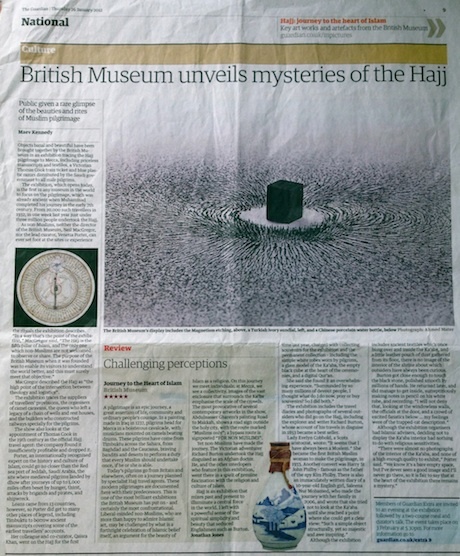 "Like few cities on earth, Makkah bristles under the weight of its own dramatic symbolism. It is a hallowed site revered by millions and at the same time a point of perpetual immigration. This has been the case for centuries. Yet over the last few years the city has begun to be recast, reworked and ultimately reconfigured. Makkah is being given a makeover. With this comes a new set of concerns. There is a dissonance today among many of those who live in the city or maintain an emotional stake in its future regarding what this place is, what it could be or what it should be, all of which provides a contextual background to Mater’s urban exploration." 1979 born in Abha and lives in Riyadh, Saudi Arabia. Physician turned artist, Ahmed Mater is one of the most significant cultural voices documenting and scrutinising the realities of contemporary Saudi Arabia. His practice embraces the paradoxes of science and faith. Entwining expressive and politically engaged artistic aims with the scientific objectives of his medical training, he fuses the two realms to explore their connections and contradictions. Employing broad research-based investigative techniques, Ahmed assesses the Kingdom’s social, economic and religious condition, mining and preserving disregarded and forgotten narratives through expansive documentary ambles. His surveillances are also distilled into compacted conceptual scenarios, nodes that tug at the dense strands of the Kingdom’s past, present and future, conjuring and contemplating modernisation and tradition, religion and globalisation. Evolution of Man (Video) from Ahmed Mater on Vimeo . Yellow Cow Performance 2007 (Video) from Ahmed Mater on Vimeo. CCTV from Ahmed Mater on Vimeo .